I remember growing up my mom always used to buy the carrot raisin salad at the grocery store and it was my favorite! This is one of those dishes you either love or you hate, similar to the opinion of fruit on pizza, people either love it or absolutely detest. I was recently reminded of this side dish when I saw it featured in the store the other weekend. The wheels in my head started turning and I was destined to recreate a healthier version. My version uses carrots, lacinato kale, raisins, and homemade mayo. However, there are a number of different ways you can make this salad. You can add in pineapple like some of the more traditional carrot raisin salads or even chopped pecans. 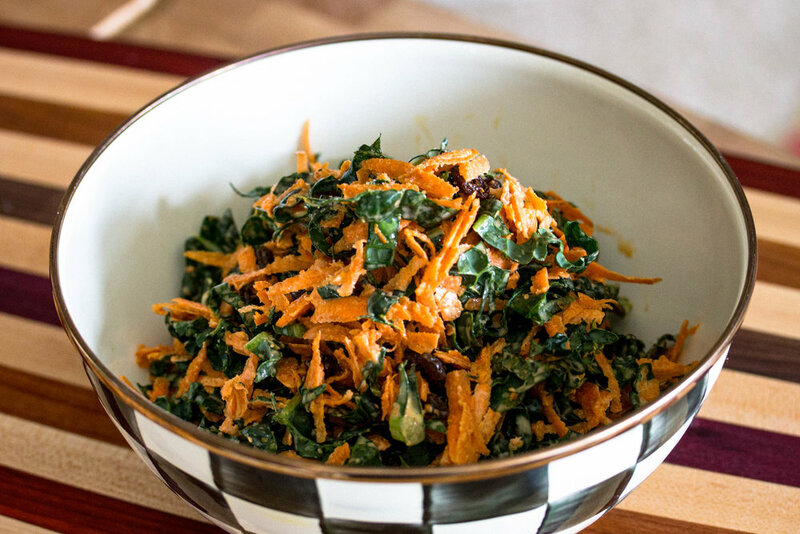 I added very thinly sliced lacinato kale to add additional crunch and it was fantastic! This recipe is also perfect for meal planning! You can make a large bowl of this and have it for lunch or as a side to any meal. It is incredibly easy to make but also full of health benefits. Carrots and kale are are very high in Vitamin A, K, C, and calcium and great for your heart, brain, and skin! Plus, the mayo is made with avocado oil so it is an excellent source of healthy fats that will help keep your energy stable throughout the day. Hope you enjoy this simple and healthy side dish! Let me know if you try and how you like it or if you happen to make a variation! 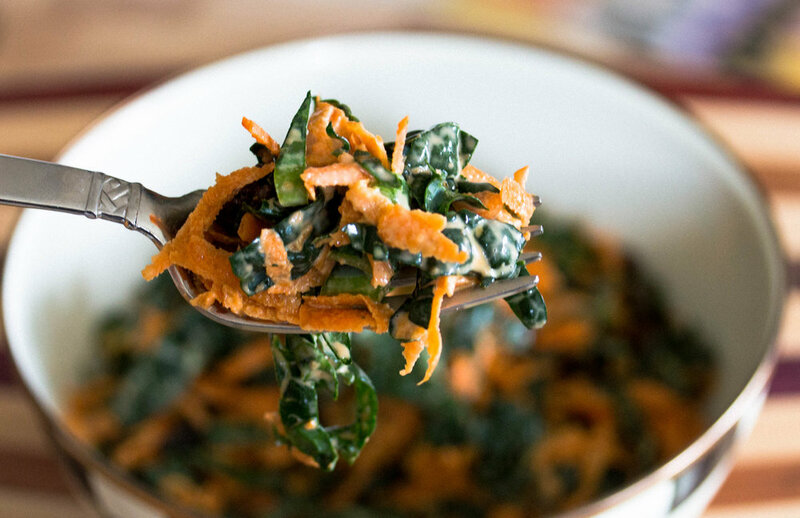 Combine chopped kale and carrots in a bowl and toss a few times. Add in mayo and mix thoroughly until well combined. Add in raisins or other fix-ins and mix well. Serve garnished with a sprinkle of Himalayn salt.